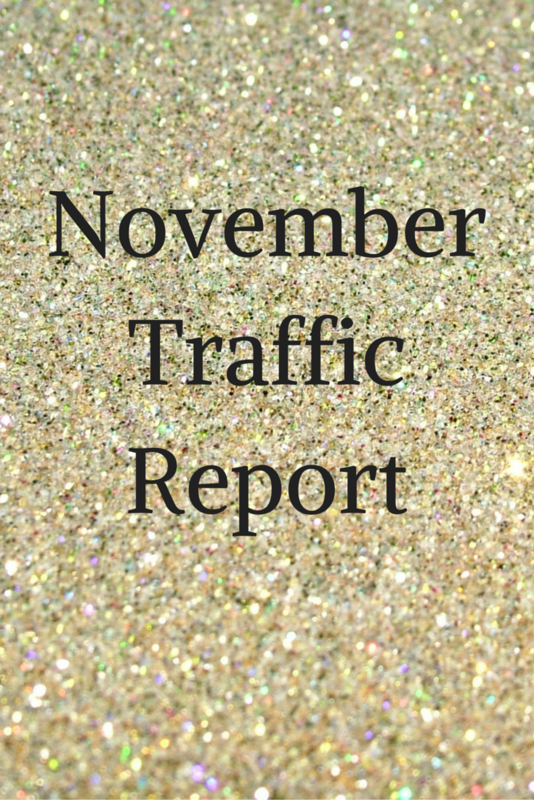 I am back today with another traffic report this time it’s my November traffic report. You can see my previous ones here, here and here. I have really enjoyed doing these because I like knowing where I can improve and where I am excelling in each month…and trying to get to 10k pageviews per month. I am nowhere near 10k pageviews per month, but I definitely improved in all areas compared to last month so that was an accomplishment I am pretty proud of. I hope to keep seeing progress from here on out whether big or small. Pinterest: 5,023 (-0.001) — I stupidly deleted a few Pinterest boards completely forgetting that I would lose some followers if I did this. Oh well. It didn’t make too much of an impact and I can definitely pick it up again next month. Next month, I will be showing you my (hopefully) improved stats. For now I am going to share with you some goals that I want to achieve over the next month in terms of attaining 10,000 monthly pageviews. What are your blogging goals for this month? Let me know down in the comments.